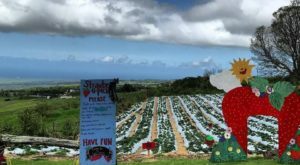 As the most isolated population center on earth and a true melting pot of cultures, the Hawaiian Islands are home to some of the world’s greatest cuisine. 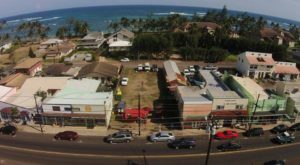 But in order to taste some of most mouthwatering food Hawaii has to offer, you must be willing to leave the resort areas and check out the restaurants that locals love. 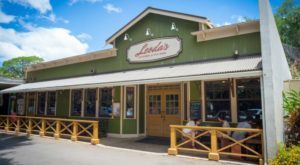 So, today, we’re headed off the beaten path — more than an hour outside Waikiki — to a small old-fashioned restaurant that serves some of the best Hawaiian breakfast favorites on the island of Oahu. 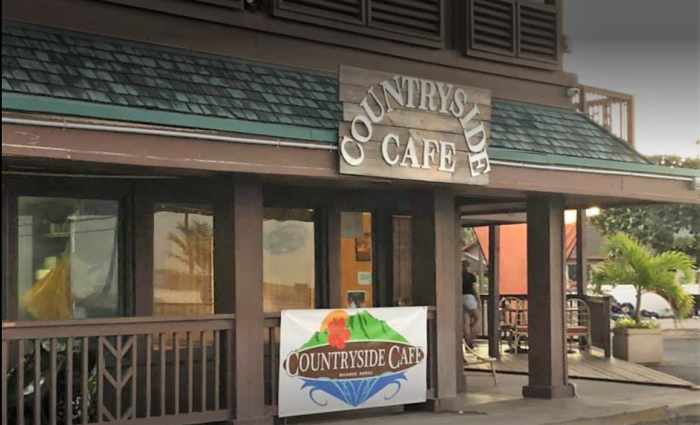 Nestled along the leeward coast of Oahu in the overlooked town of Waianae, Countryside Cafe might just be one of the most underrated restaurants on the islands. 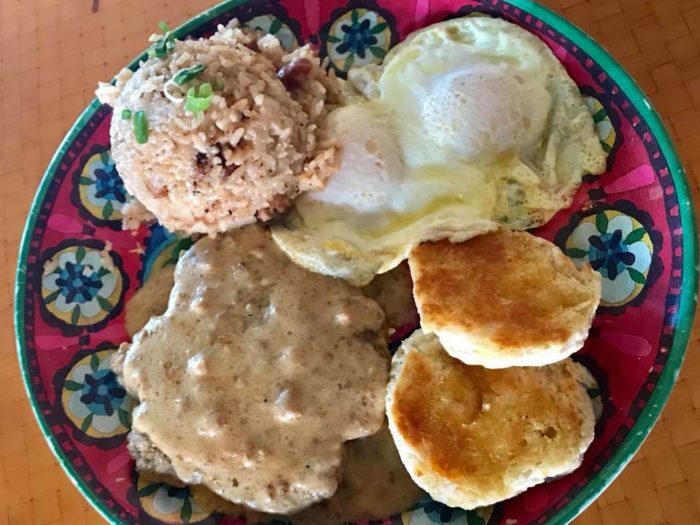 Opened in 2015 and located in an unassuming building, this Waianae restaurant might be modest, but what they lack in elegance, they make up for in mouthwateringly delicious breakfast and lunch favorites. Breakfast is served until they close at 2 p.m., and we can’t get enough of their bananas foster french toast and their banana macadamia nut pancakes. 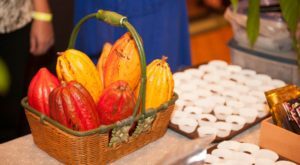 After just one bite, you can consider your sweet tooth satisfied. 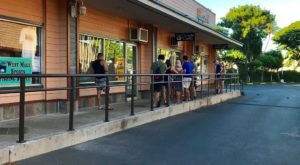 The strawberry waffles, chocolate chip pancakes, cinnamon french toast, and lilikoi buttermilk pancakes are also excellent options. 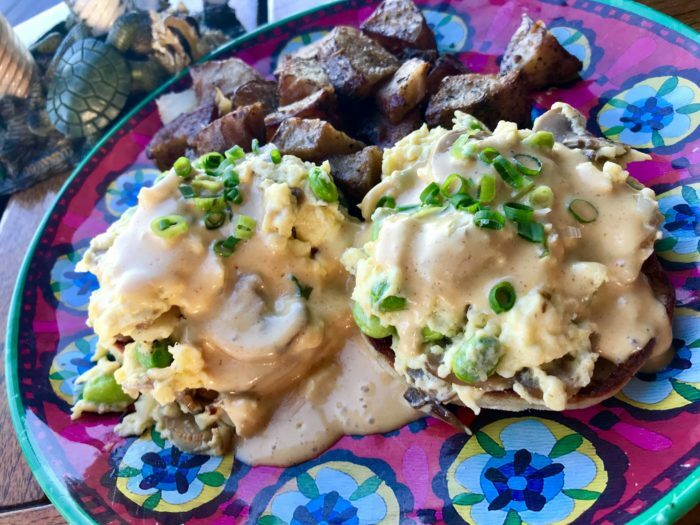 ...or one of three eggs benedict dishes that feature either adobo, crab cakes, or kalua pork. 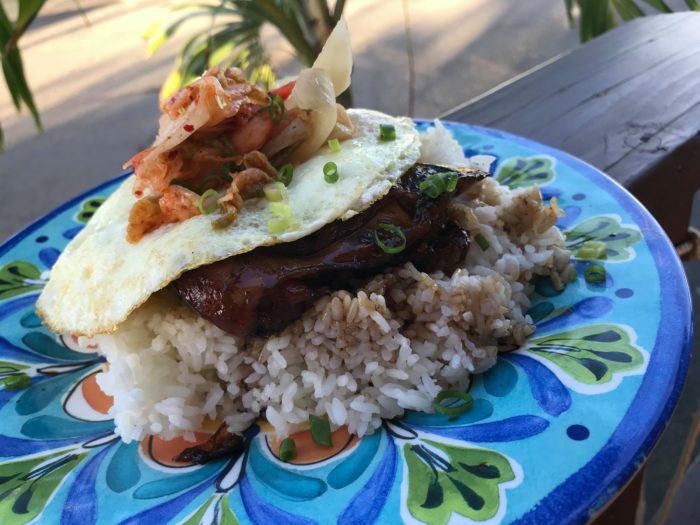 Fried rice, omelets, steak and eggs, an egg and sausage burrito, and more round out the breakfast options. 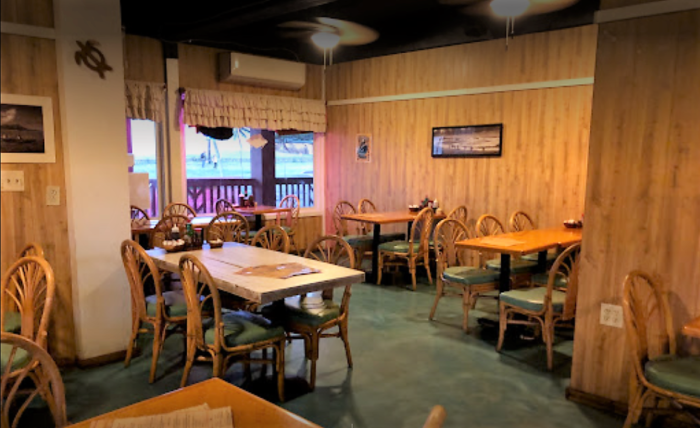 From kalbi ribs, hamburger steak, and garlic fried chicken to fish tacos, ahi poke, and fried noodles, the lunch options here are as varied as they are delicious. In addition to Hawaiian favorites, you’ll also find burgers, sandwiches, and garlic fries — yum! 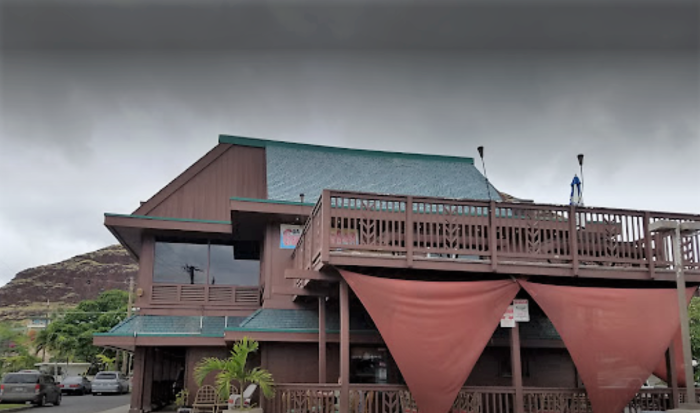 With warm wood tones as well as a spacious lanai and plenty of Hawaiian themed decor, this family-owned restaurant is quite cozy. 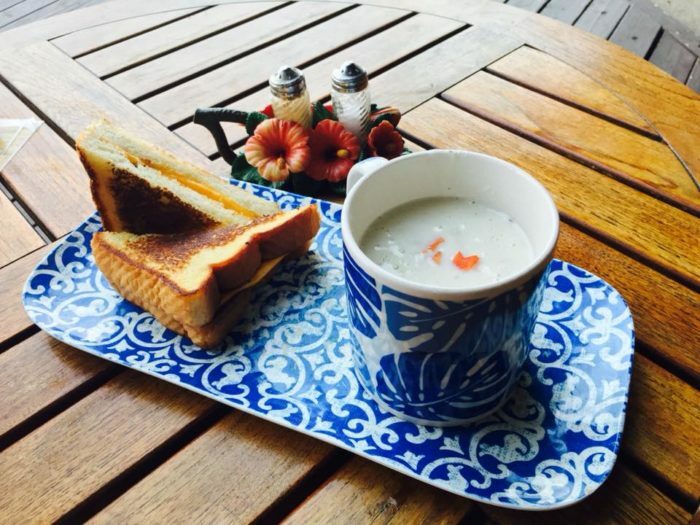 Oh, and did we mention it’s beachfront location and friendly service? 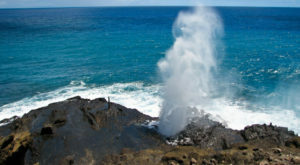 There’s truly no reason not to make the trip out to the leeward coast to visit this gem, so what are you waiting for? 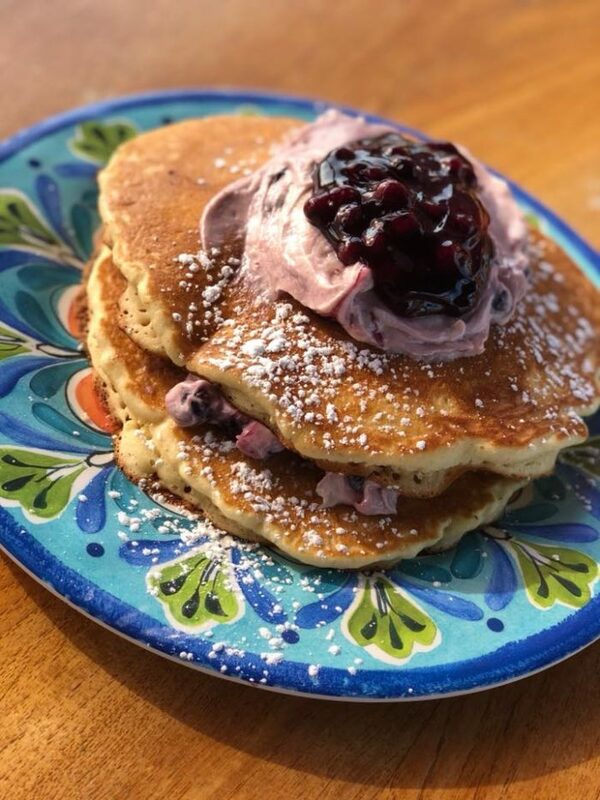 Make a day out of it and head to Countryside Cafe for breakfast followed by a morning spent splashing in the sparkling blue waters off the coast. 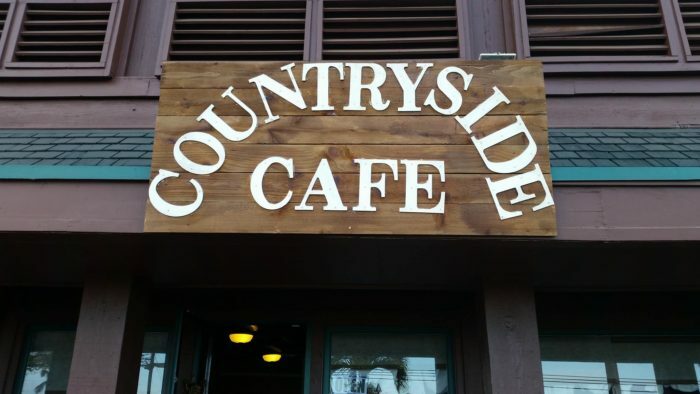 Countryside Cafe is located at 87-70 Farrington Hwy. 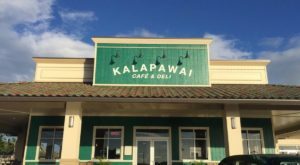 #104, Waianae, HI 96792, and is open for breakfast and lunch from 7 a.m. to 2 p.m. Monday through Saturday and 7 a.m. to 1 p.m. Sunday. For more information, visit their website or follow them on Facebook. 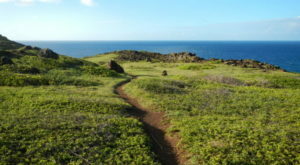 Countryside Cafe is best enjoyed after a hike at one of our two favorite west side hikes: Kaena Point and Pu’u O Hulu Kai.